The American Library in Paris was created in part as a memorial to a young American poet, Alan Seeger, who wrote the well-known poem “I Have a Rendezvous with Death” not long before he died in action in France in 1916. The early leadership of the Library was composed of a small group of American expatriates, notably Charles Seeger, father of Alan Seeger. President Emmanuel Macron addressed a joint session of Congress on Wednesday 25 April as part of the first state visit of the Trump Administration. 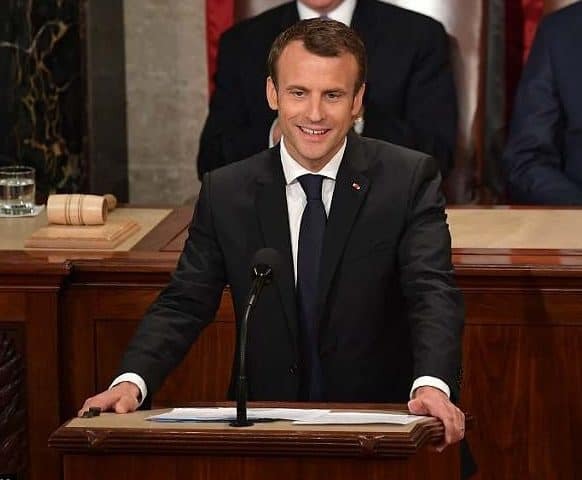 Macron began his speech by describing the special centuries-long relationship between the United States and France, dating back to our respective revolutions and our shared commitment to democracy. He also made a particular reference to Alan Seeger as one of the first Amerian soldiers to fight with the French Foreign Legion. Check out the video below. The section of the video about Seegerbegins at 28m14s.